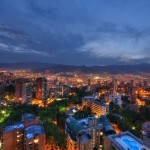 This is a re-written article taken from an original article – Luxury Travel in Medellin. 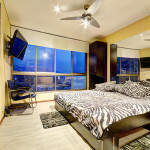 It provides a lot of recommendations on luxury travel and accommodations while visiting Medellin, Colombia. This expat has spent 7 months as an editor for a large Medellin publication in the Second largest city in Colombia to research and report on the where to go, where to shop, and where to dine while taking advantage of the luxurious side of Medellin. In this article, the goal was to provide information on the best restaurants, bars, shopping and overall points of interest in the city. What we would like to do is provide this information as well as additional information on apartments that we have in the area to rent for long or short term rentals. Medellin has been growing in popularity with expats and cosmopolitan travelers over the past 20 years. It has everything that other world destinations have including rooftop bars like the Panorama Rooftop Bar, Envy Rooftop Bar and the nearby Delaire Sky lounge. Also, Medellin even has a revolving restaurant, Tony Roma’s. Another interesting fact about Medellin is that it is fast becoming the fashion capital of Colombia. In fact, we had already written about a yearly show that is also gaining in popularity ColombiaModa is the name of this event and more information can be found on this link. If you are looking to go out for a cocktail at a swanky hotel, Medellin has you covered there too. Some fan favorites include; The art hotel. This hotel has great design, outdoor bar space and an overall modern look and feel. Another boutique hotel with great architecture and views is the Charlee Lifestyle Hotel. This also has a great location near the Medellin Museum of Modern Art. 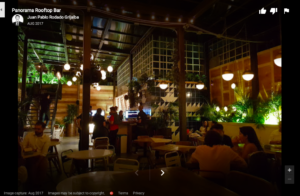 A third option is the Diez hotel a five star hotel also in El Poblado Medellin and is also close to other nightlife and bars in the area. To get a good idea of the city, take the the Medellin city tour to learn more about the city.